You remember their first step, first day of grammar school, and soon your child, or young adult, is going to embark upon their first days of college. The time is approaching fast. How should you help prepare them in a practical way for their stay away from you and home? 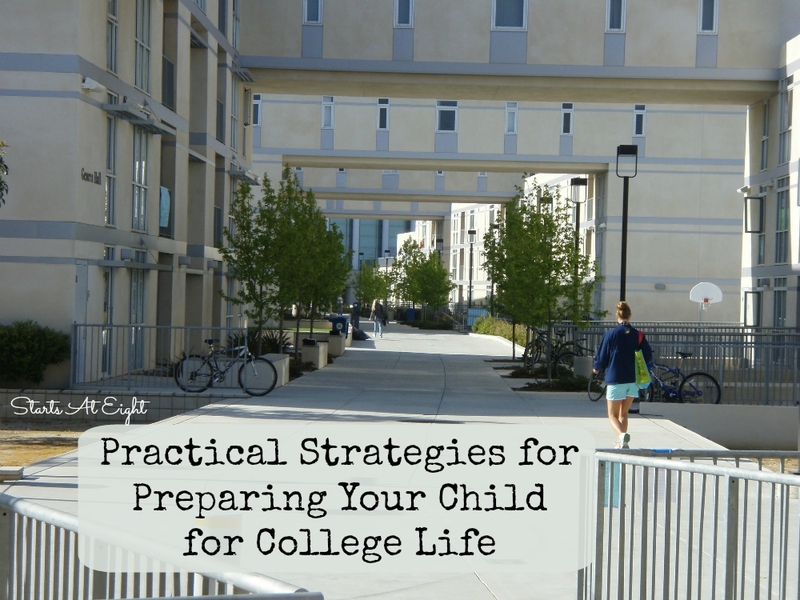 Reminisce with your young adult about your first days at college. Discuss your feelings of fear and apprehension along with the things you most looked forward to. If you didn’t attend, talk to them about other new and major changes in your life, which could regard a new job, moving to a new state, or meeting a new boyfriend or girlfriend. Of course, your child is going to have a range of feelings, and after discussing them with others and realizing it’s okay to have them, and that you had them as well, they will feel more confident and less reluctant. After you college shop and select a university, it’s time for an actual visit. As you know, things often turn out differently than imagined. So, it’s better for your child to get a firsthand view of their new home before moving there. Let them experience the buildings, the surrounding city and landscape, the weather, and observe students on campus. It’s fine if you visit during the summer, yet it’s better if you take them when students are there so they can better imagine what it will be like. Every college student needs a computer. While university libraries have devices at student and faculty disposal, a computer will help them study, do work, and keep in contact with friends and family members back home. Moreover, most classes supplement books with online materials if not altogether use online resources to address the curriculum. Computers are expensive, so get them a carrying case too and remind them to be responsible when bringing it to the library, cafes, college shop, and friends’ dormitory rooms. You’ll want your young adult to feel at home in their new living space, so make sure they are comfortable and established for success. Shop online for a comfortable chair, sturdy desk, and entertainment devices such as MP3 players, speakers and an HDTV. There’s going to be a period of adjustment regardless of how well you furnish the room, yet ensuring they are comfortable and have a nice area to do work will make them know you’re there for them despite the distance. The college years rest on the brink of adulthood, and some young adults are more than mature for their age while others take years to mature. Being financially responsible comes with experience and maturity. While some kids learn how to handle expenses early on, others need time to understanding they should not splurge on concert tickets before ensuring their smartphone bill is paid. Discuss expenses with your student; consider helping them develop an Excel sheet that acts as a ledger, tracing their income and expenses. Also, decide whether to help finance them or if they should get a job to support themselves. Alternatively, if you’re concerned juggling a job and school is too much for them, make your student get a job the summer before college, so they have money the next fall. Shawn Jackson works as an interior decorator. He loves to write about his decorating insights online. His posts can be found on home improvement and renovation blogs.